One of the greatest music festivals in the world recently returned as a championship contender when they released their lineup for 2013. Lately, the festival seemed to rely mainly on its prestige alone. After all, it is a festival that spans over 11 days and has more than 800 acts performing on 11 different stages. The festival is a vision of the great late mayor of Milwaukee, Henry Maier, who wanted a massively relative festival that would compare to the joyous Oktoberfest in Munich, Germany. He started the tradition that became Summerfest in 1968. The lineup has been lacking the innovative music that the youth and many more have gravitated towards in recent years. This year after they released their headliners at the Marcus Amphitheater I had mixed feelings. So I was a little skeptical when I received the E-mail that their complete lineup was out but said, “What the hell” and clicked the link. To my astonishment, I was really impressed. One thing that stuck out in my mind was that they got some major electronic, Indie rock and alternative rock acts. All whom are currently relevant in their respected industries. This list includes Pretty Lights, Diplo, Empire of the Sun, the Yeah Yeah Yeahs, Yeasayer and MGMT. They did this while still including a lot of the older talent (Alice Cooper, 311, Foreigner and Billy Idol) and mixing in many more talented up and comers. 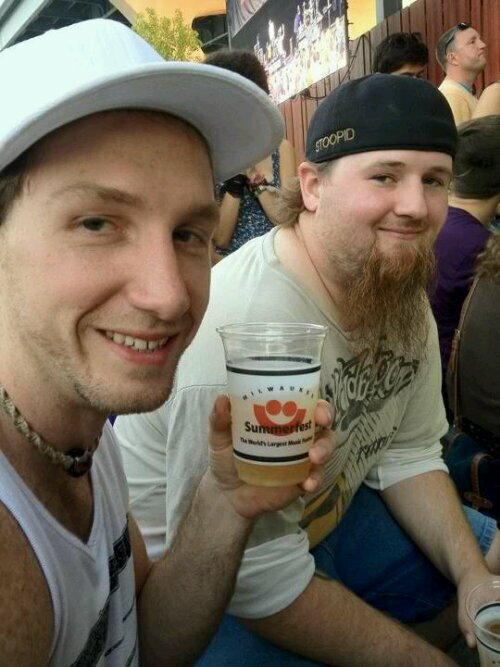 Another thing you have to appreciate about Summerfest is the variety of music that they bring to the many ears attending the festival. They have done a great job blending country, pop, blue grass, electronic, rock and even a little bit of hip hop into the lineup. A few other artists that would be worth seeing are: Capital Cities, Atmosphere, Trampled by Turtles, Robert Delong, Matt & Kim, AWOLNATION, Imagine Dragons, Taliban Kweli and Cake. If you are the least bit interested after reading this head over to summerfest.com/lineup for a complete listing of this year’s lineup. 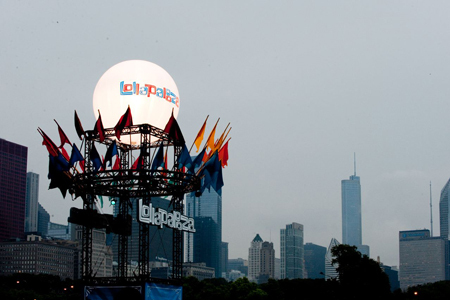 I have been attending Lollapalooza for the past 4 years now, and I have never been part of an evacuation. For that part, no one has ever been part of a mandatory evacuation at Lollapalooza since it’s inception in 1991. Evacuation is such a scary word and seemed like an extreme measure to take at the time. I am going to tell you why it was the right move and how it all went down from my perspective. I had watched the weather that morning, and the trustworthy meteorologist said that we would be alright. A possible scatter thunderstorm during the day with the severe weather hitting the Chicago area later that night after Lollapalooza was already over for the day. When the text from a friend came in: “How is the rain?” I simply replied with: “What rain? lol”. At that point, I thought I better check the radar on weather.com as the city skyline was getting draped with a very dark, swirling line of clouds. The radar wouldn’t come up, as my phone was not cooperating at the time, but I did see that there was a severe thunderstorm warning in effect until 4:15 pm. Then the unthinkable happened – Alan Palamo of Neon Indian made an announcement at 3:10 pm that they were to be done playing in 10 minutes and that everyone had to leave Grant Park. At that point, I do not think the crowd believed they had to leave; I know they didn’t want to leave. My group of friends didn’t want to leave the park either. The security ushered us out like a herd of cows, forcing us out in to the streets of Chicago. I have been waiting for the announcement in anticipation to see who will be performing for the Mad Decent Block Party presented by Puma in Chicago this year. I was pumped to make the 5 hour drive to go to the free show beforehand and thought Chicago would be getting Major Lazor or Zed’s Dead to headline but it looks like we got hooked up with co-headliners. Two of my more favorite underground acts of the year are in charge of legitimizing this bill. 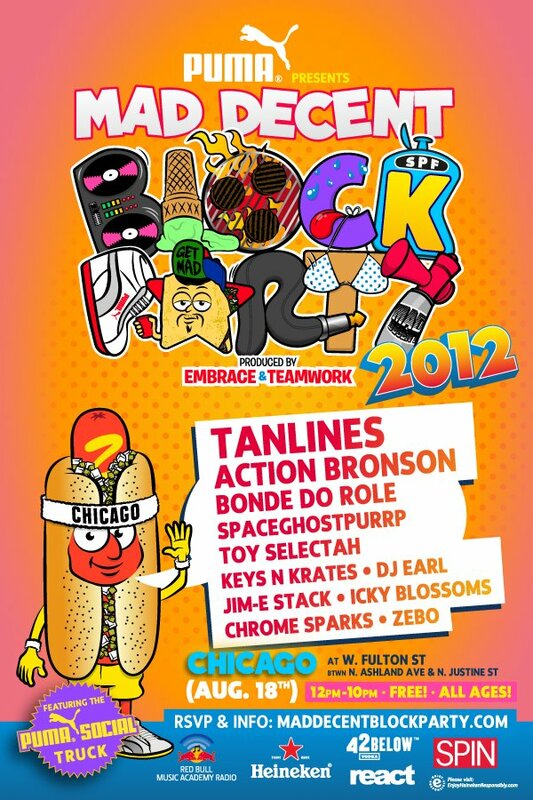 I am sure that Tanlines and Action Bronson will not disappoint the crowd this year. If you do not have these two albums I suggest you go get them and then quit complaining about the lineup. Some other good acts joining the block party are Keys N’ Krates and the Icky Blossoms. I was hoping for a little more womp in my lineup but I will have to do with the de-womp in my lineup this time around. It is free, it is in Chicago and if you haven’t RSVP’d and you are planning on attending go over to Mad Decent Block Party’s homepage and make it happen. One last question though, where is Diplo if he is putting this event on? 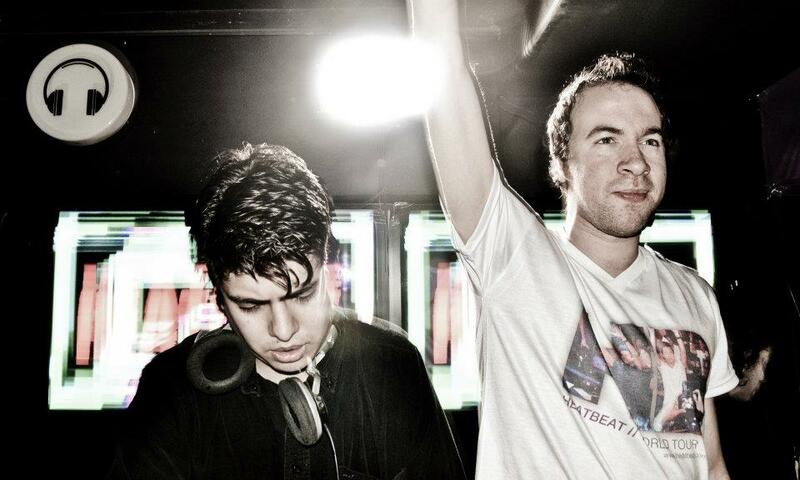 *Nadastrom was added to the lineup and 12th Planet is headlining. 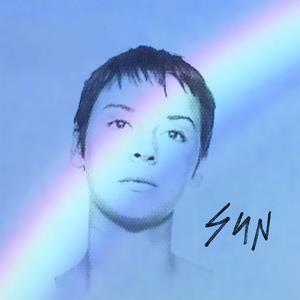 Since the new single, “Ruin”, by Cat Power was released on June 2oth it has been on heavy rotation on Sirius XMU. The song has been one of my favorites since hearing it in June. It is a very catchy song that peaked my interest enough to go and research who or what Cat Power is? Cat Power is Chan Marshall’s band that she has been a part of for many years. SUN, her 9th studio album, will be released on Matador Records September 4th of this year and “Ruin” is the featured single off of the record. Believe it or not, Chan Marshall was born in 1972. You would not be able to tell the Atlanta, Georgia native is 40 by the way “Ruin” grabs your attention with its hip and catchy sound. This is her first studio album in 6 years and for the first time she took control of all elements on the making of SUN. She is refreshed and ready for a new beginning with the release of this record. If the first single is a preview of what is to come on Cat Power’s new album, we will all be getting a little more SUN this fall in the Midwest.